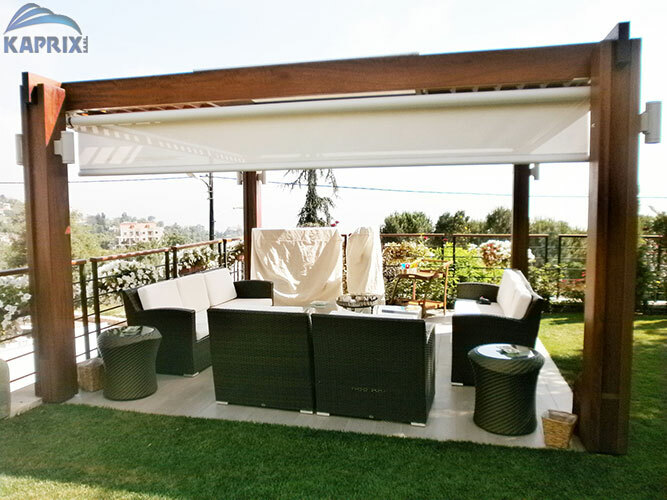 A good quality installation of sun shades is a must-have for any outdoor space. 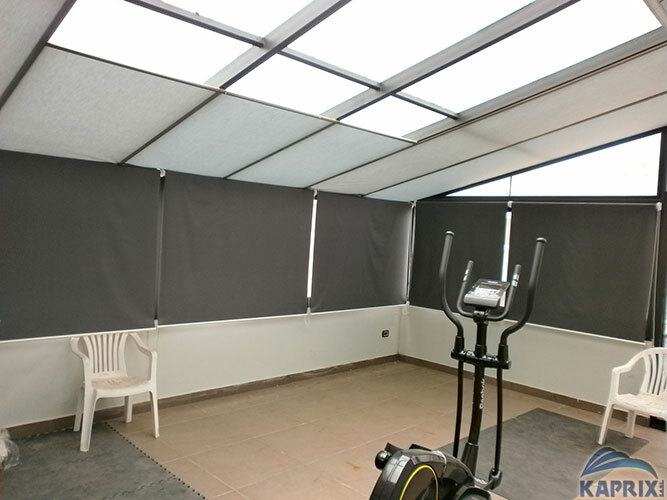 Without sun shades you are severely limiting your use of comfortable, cozy spaces any time the sun is out. 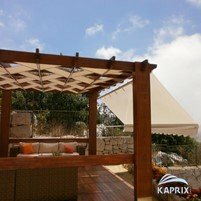 Kaprix offers an array of styles and installations for anybody seeking high quality sun shades to complement their outdoor spaces. 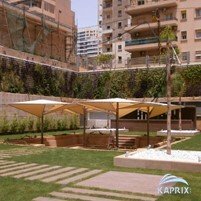 Whether you have a patio or pergola which you would like to use more often on nice days, or an outdoor summer kitchen just begging to have gatherings take place, Kaprix can help. 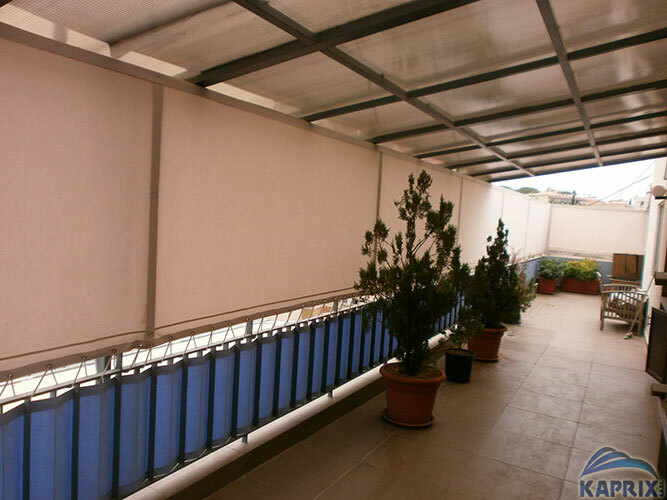 Kaprix sun shades are available in a wide variety of colors, and can be installed to suit any space, no matter the size. 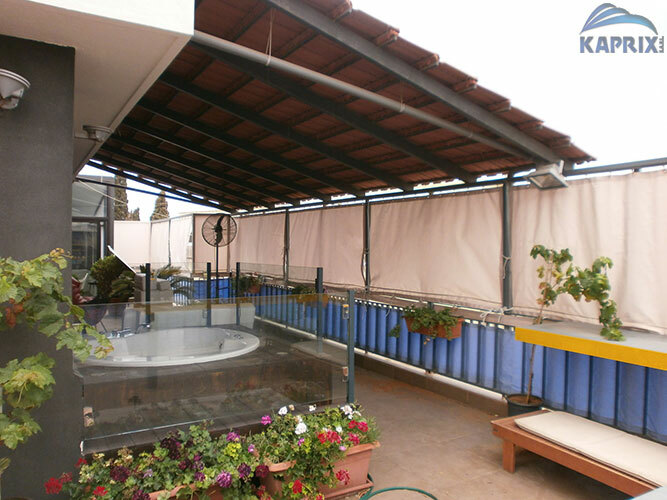 No only do sun shades fend off the rays of the sun, they also add privacy and intimacy to any space. 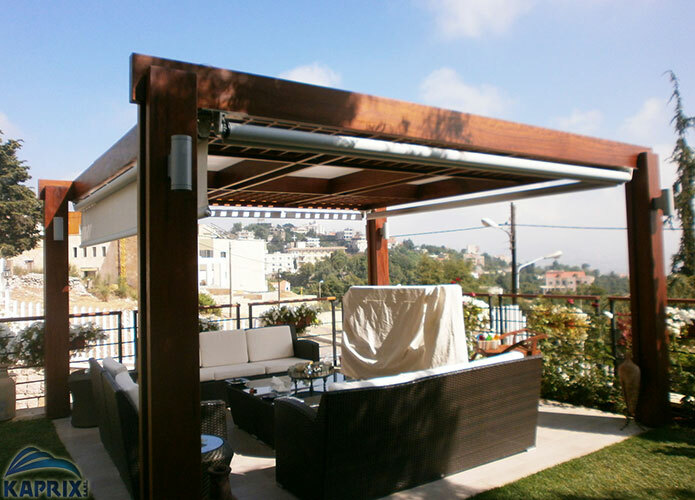 Simple, stylish, and cozy, sun shades aren't just for the home owner. They add dimension and a close feeling of intimacy to restaurant patios as well. Best of all, sun shades are energy-saving installations that can reduce heating and cooling costs as well! 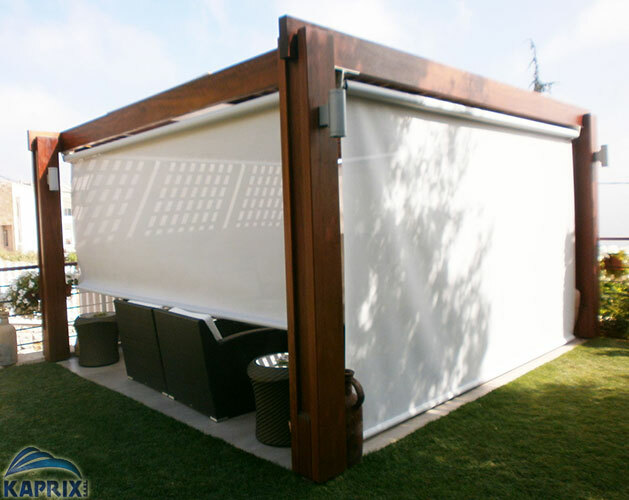 Kaprix offers a variety of options with their roll up sun shades. 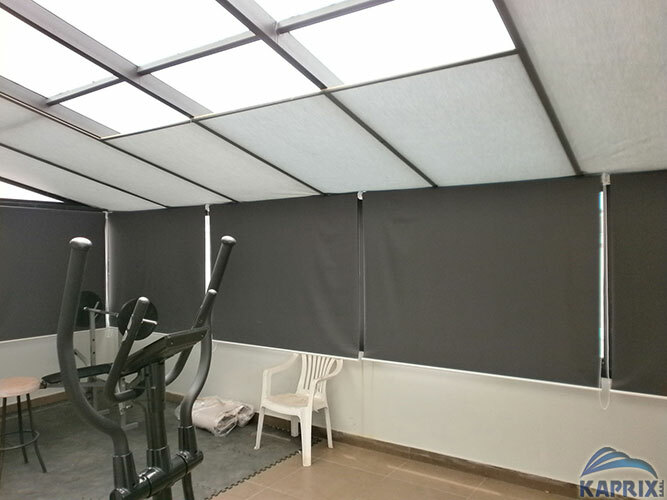 Your inner decorator can rest assured that Kaprix will give you the very highest quality service possible during the entire process, from choosing and measuring, to the final installation of your new sun shades. 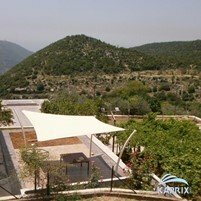 Kaprix also offers a wide variety of other installations created to make life easier, including sun screens, umbrellas, retractable awnings, and shade sails for places such as restaurants and play grounds. They even create armed awnings for businesses who want to stand out from the crowd. 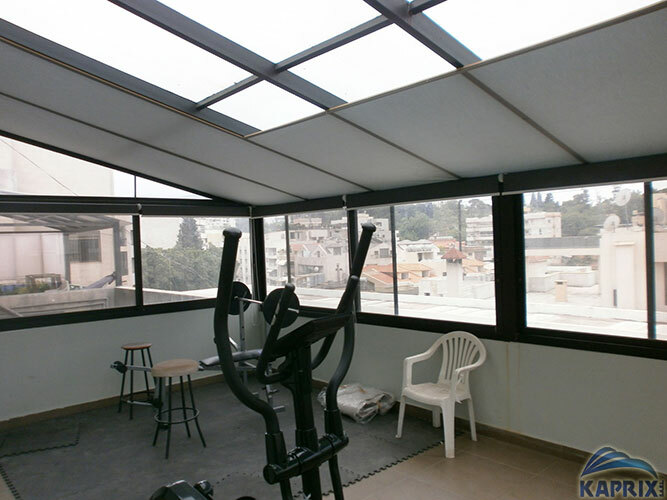 Contact Kaprix today to start the selection process and in no time at all, you and your friends and family will be enjoying the delights of sun shades in all of your spaces both outdoor and in!